The Iditarod Official Finishers Club is demanding that the president of the race's governing board resign immediately, saying his "poor leadership" has jeopardized the sport. If he doesn't step down, the mushing club cautioned in a letter to the board Tuesday, the 2018 Iditarod "will be completely overshadowed by negative discourse and action demanding his resignation." The Iditarod starts in just over three weeks. Andy Baker, president of the Iditarod board, did not return a call Thursday. The letter from the mushing club, which bills itself as the "players union" for Iditarod mushers, follows a year of turmoil for the annual sled dog race to Nome. First there were the four dog deaths during the the 2017 Iditarod, the most since 2009. A fifth dog was hit by a car in Anchorage after it was released from Iditarod care. The deaths fueled animal-rights activists' protests against the race, as did a documentary about the sled dog industry that mushers have criticized as sensationalism. Then, the race lost a major sponsor. It dropped the 2018 prize winnings by about $250,000. It toughened a rule against hauling dogs and kept a rule allowing cellphones, decisions that drew criticism from some. In October, race officials announced that sled dogs on musher Dallas Seavey's team tested positive for a painkiller banned by the race. Seavey said he didn't do it and the Iditarod didn't penalize him, but it did change the rules so mushers have to prove their innocence if their dogs test positive for banned drugs in the future. Seavey and other mushers have spoken out against how the board handled the results and how it changed its rule. 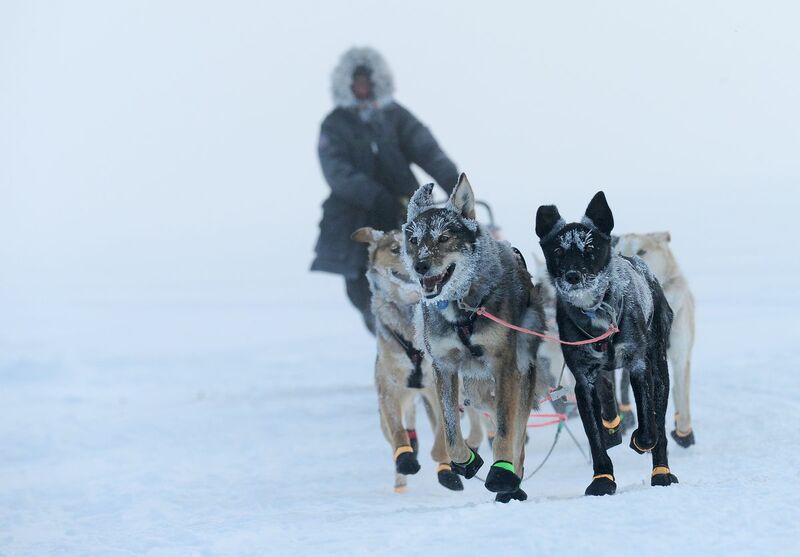 And, just last week, a report by an independent consultant was made public that said the Iditarod board had so strained its relationships with mushers and sponsors it threatened the very survival of the historic race. 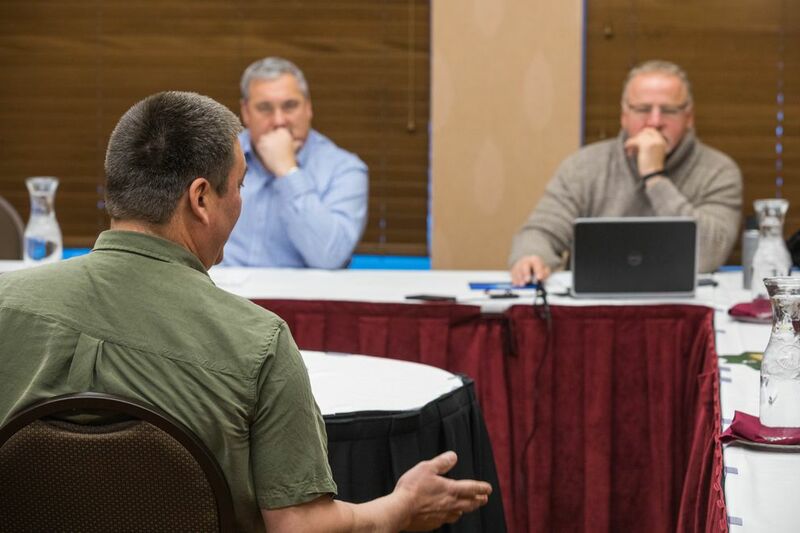 To rebuild trust, it said, six of the nine Iditarod board members with conflicts of interest, including Baker, may have to resign. Baker is the brother of musher John Baker, of Kotzebue, who won the 2011 Iditarod. The other five board members are either family of Iditarod mushers or mushers themselves, both currently racing and retired. Last week, Andy Baker said in an email that the Iditarod board would focus on identifying and dealing with conflicts of interest after the 2018 race. The Iditarod Official Finishers Club included its call for Baker's resignation in a letter that was dated Tuesday and obtained by the Anchorage Daily News. Musher Sarah Stokey, club secretary, confirmed in a text message the letter was sent to the board. She did not respond to further questions, including what specific actions Baker had taken, or not taken, that prompted the call for resignation. Wade Marrs, club president and musher representative on the Iditarod board, also did not respond to a message Thursday afternoon requesting information on Baker's actions. A brief email from the Iditarod's public relations firm Thursday said the Iditarod board would discuss the club's letter at its previously scheduled Friday meeting in Anchorage. In its letter, the mushing club said it wants Baker to step down by next Thursday and "the remaining members with a conflict of interest" to resign by June. The letter is signed by the club, not individual mushers. The club is made up of mushers who finished the Iditarod. To become a voting member, they must pay an annual $15 fee, according to the club's website. At a meeting of the Iditarod Official Finishers Club in November, the attendees passed a vote of no confidence in Baker. The vote was 36-0 with one person abstaining, according to a copy of the meeting minutes. The club's letter said it decided to not take further action until the consultant's report was released. The club said mushers do not want to race under the current board of directors and Baker's resignation "would be the first of many necessary steps to repair the broken trust that has developed." "The 68 mushers who have tirelessly worked to train their dog teams, day in and day out, deserve better than to race under a president who has jeopardized the integrity of our entire livelihood through his poor leadership," the letter said.